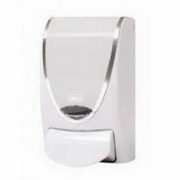 Pleasantly fragranced mild foam soap is design for general washroom use. 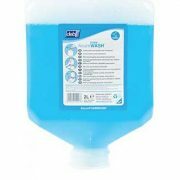 A high quality rich foam hand wash formula to leave the skin feeling silky smooth and fresh after use. A modern floral fragrance leaves skin smelling fresh. Contains skin conditioners to improve hydration, prevent drying of the skin and help leave the hands feeling soft and supple after use. The rich lather will rinse off the hands quickly leaving no residues on the skin or in the sink. Instant foam lather means quick washing and rinsing time can save up to 46% on water consumption compared to lotion soaps.